Fox is a family company and has grown sustainably since its creation in 1929. 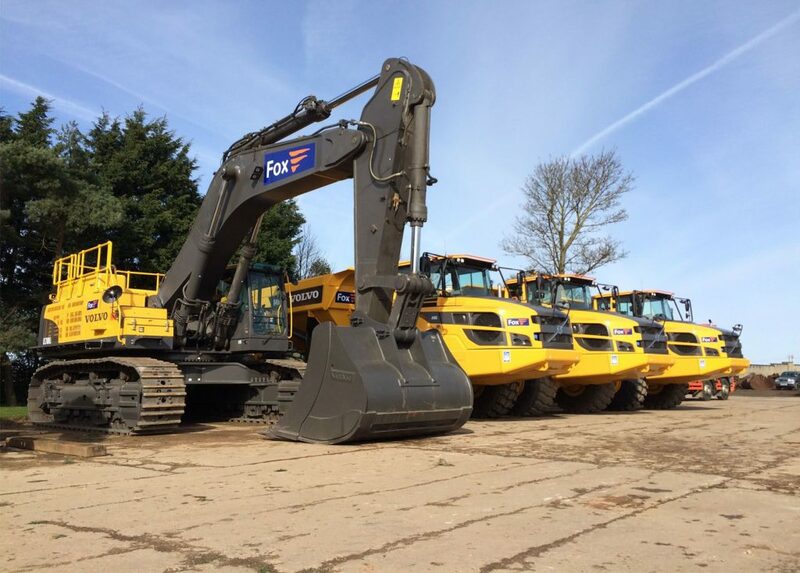 We boast a large plant fleet, consisting of over 100 items of specialised equipment including dozers, graders, trucks and more. Fox operate nationwide from their head office at Caenby Hall and is controlled by Stephen Fox, the grandson of the company’s founder. We have a dedicated and skilled workforce of over 150 people, comprising of Plant Operatives, Mechanics, Engineers, Surveyors, Site Managers, Health and Safety Manager, Contract Managers and Head Office staff. The company started as earthworks and agricultural contractors but has grown and developed in the civil engineering and quarrying markets since the early 1990’s. We now operate as multi-disciplinary Principal Contractor on schemes across the whole of the UK with project values from £10,000 to in excess of £20M. Fox offers complete turnkey solutions for all types of projects with expertise in civil engineering and quarrying. We’re a preferred and trusted partner for many of the countries leading companies, as well as local and central governments. Our years of experience allows us to operate within various sectors, including highways, commercial, residential, energy and more. Fox hold a number of external accreditations, which include Avetta, Construction Line, CHAS, CECA and Alcumus SafeContractor. Our construction activities are ISO accredited with DNV GL to ISO 14001, ISO 9001 and OHSAS 18001. Our experience of working with Fox was excellent. We found all team members to be responsive, friendly and capable which included changes to the scheme along the course of the project. We have enjoyed a positive working relationship with Fox and would happily recommend them to future potential employers. The whole project was excellent and all the guys were safety first, We worked together and helped out where we could to make the project easier, I would recommend Fox to any company.